Every year at SXSW, world-renowned chefs descend upon Austin to share their masterful skills in the kitchen with a small group of SXSW attendees. Called SouthBites Dinners, these special events offer multi-course dining experiences in unforgettable settings. This year, you have the opportunity to experience an exceptional SouthBites Dinner. Read on for more information about available dinners and how to reserve your seat. SouthBites Presents a culinary collaboration with Kevin Fink, Michael Chernow and Naomi Pomeroy hosted by our friends at KitchenAid. This dinner features an incredible menu of bold flavors created by Chefs Fink, Chernow, and Pomeroy. You will enjoy cocktails and bites inspired by the bold design of KitchenAid® black stainless appliances, and there will be a special surprise too! Kevin Fink is chef and owner of Emmer & Rye in Austin, TX, the city’s first to offer contemporary American seasonal small plates passed on circulating carts. Fink was named one of Food & Wine “Best New Chefs” for 2016 and one of the “Best New Restaurants 2016” by Bon Appetit. Naomi Pomeroy is a native Oregonian chef, and owner of Beast, which serves an elegant six-course fixed menu that changes every other week. In 2014, Pomeroy won “Best Chef in the Pacific Northwest” from the James Beard Foundation. Her first cookbook, Taste and Technique, was released in 2016. Michael Chernow is the owner of Seamore’s & co-owner of The Meatball Shop with his childhood friend Daniel Holzman in New York City. Chernow has appeared in countless broadcast segments including ABC’s Good Morning America and NBC’s Today Show. Chernow also co-authored The Meatball Shop Cookbook. The KitchenAid® brand offers virtually every essential for the well-equipped kitchen with a collection that includes everything from countertop appliances to cookware, ranges to refrigerators, and whisks to wine cellars. SouthBites presents a culinary collaboration at Chicon with José Andrés and ThinkFoodGroup, Aaron Franklin, and Andrew Wiseheart hosted by our friends at PRE. This dinner features drinks from an open bar and incredible paella by Chef Andrés, BBQ by Chef Franklin, and kitchen creations by Chef Wiseheart. PRE will host and supply 100% grass-fed beef that is the healthiest and most delicious beef in the world. 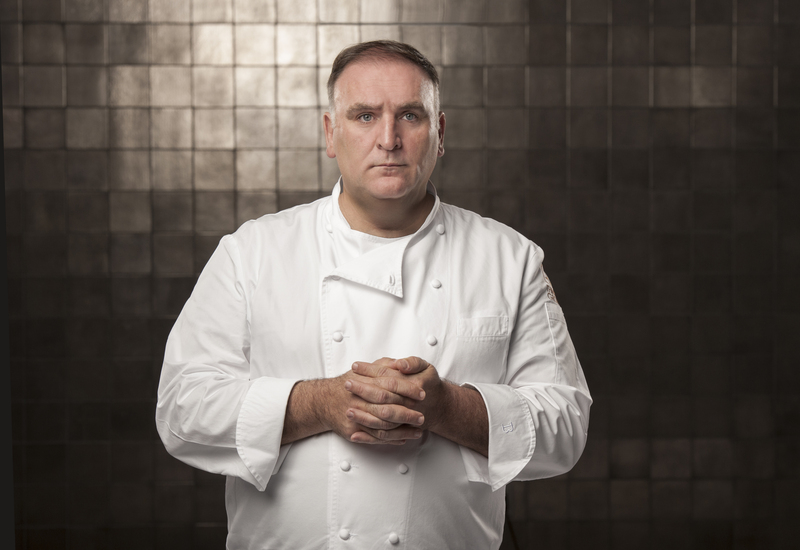 José Andrés is an internationally-acclaimed chef, author, advocate, and founder of ThinkFoodGroup. Andrés is also founder of World Central Kitchen, chairman emeritus of DC Central Kitchen, and contributes to food policy blog “The Plate” for National Geographic. Aaron Franklin is an Austin, Texas based restaurant owner, self taught barbecue expert, well-known pit boss, educator, and writer. In 2015, Aaron won the coveted “Best Chef in the Southwest” award from the James Beard Foundation. Andrew Wiseheart is co-owner and chef at Contigo and Chicon in Austin, and owner of Contigo Catering. Wiseheart’s recent accolades include three consecutive nominations for “The People’s Best New Chef: Southwest” from Food & Wine in 2013, 2014, and 2015. PRE® Brands is a Chicago based consumer packaged goods start-up focused on providing the best tasting 100% grass fed beef. PRE believes in using a modern approach to traditional methods to deliver consumers the great taste they love, without the health and safety compromises. Through the company’s Taste Standard, PRE has mastered the art of bringing shoppers the healthiest, most delicious beef in the world.